Calgary, Alta. 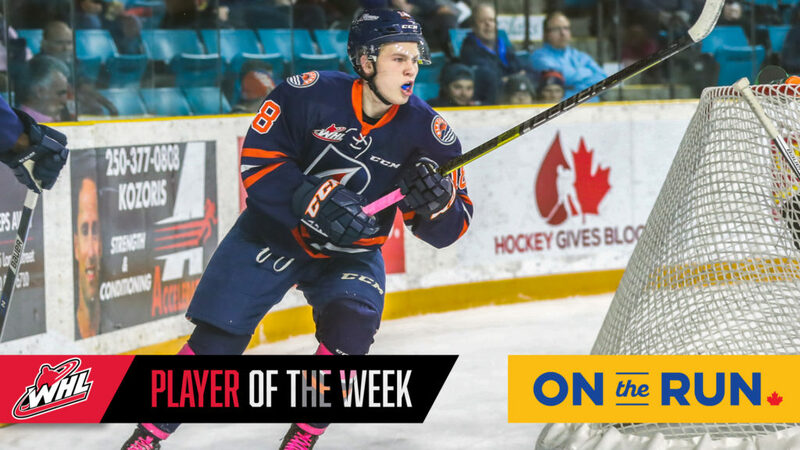 – The Western Hockey League announced today that Kamloops Blazers forward Connor Zary has been named the WHL On the Run Player of the Week for the week ending March 17, 2019. 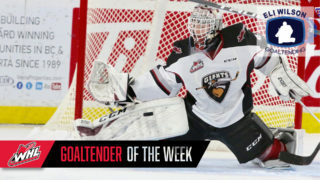 Zary recorded nine points (5G-4A) and a plus-seven rating in four games this week as the Blazers went 3-0-0-1 to finish off their 2018-19 WHL Regular Season schedule. The Blazers’ record this weekend resulted in a tie with the Kelowna Rockets for the final playoff spot in the WHL’s B.C. Division and Western Conference. The tiebreaker game will be played on Tuesday, March 19 (7:00 p.m. PT) at the Sandman Centre in Kamloops. 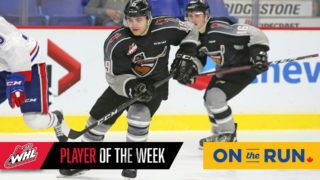 In a 5-1 win against the Spokane Chiefs Tuesday, Zary scored the Blazers’ second and fifth goals on the power play and at even strength; respectively. For his efforts, Zary was awarded the third star of the game. The next night, the Blazers hosted the Victoria Royals and Zary recorded one even-strength goal in an 8-0 win for Kamloops. 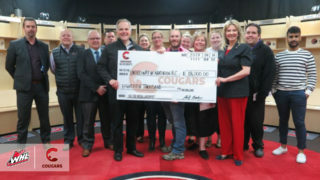 Zary’s success continued on Friday in Kamloops to kick off a home-and-home series with the Prince George Cougars. Scoring one goal and adding two assists, Zary was awarded the first star of the game. 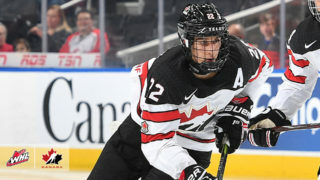 In Prince George the following night, Zary repeated his three-point performance with one short-handed goal and two assists as the Blazers defeated the Cougars 4-2. Both of his weekend goals came during timely moments for the Blazers. Friday, Zary’s goal came in the final minute of regulation to prolong the game into overtime, earning the Blazers a single point as the Cougars eventually took the win. Saturday, Zary blocked a shot at the blue line on the penalty kill and scored on the ensuing short-handed breakaway for the game-winning goal. With 67 points (24G-43A) in 63 games, the Saskatoon, Sask. product finished the season second in team scoring. 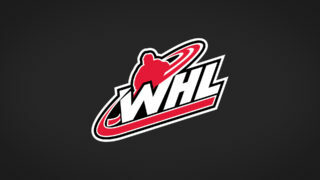 Over the 2018-19 WHL Regular Season, Zary has totalled six power-play goals, two short-handed goals and six game-winning goals. The 6-foot-0, 175-pound centreman was selected in the second round, 37th overall, at the 2016 WHL Bantam Draft by the Blazers. In 131 career WHL regular season games, Zary has tallied 96 points (35G-61A), including 11 power-play goals, two short-handed goals and eight game-winning goals. Battling for the final 2019 WHL Playoff spot, the Blazers host the Rockets on Tuesday, March 19 (7 p.m. PT) at the Sandman Centre.